Episode one of the Easter morning story according to Mark ends in a rather strange way, wouldn’t you say? 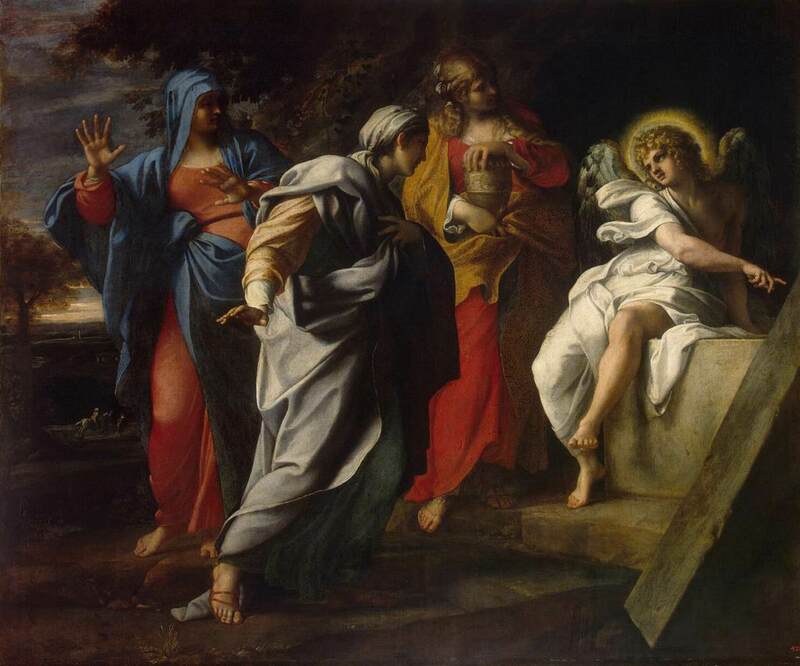 Here, these three women have just become witnesses to the resurrection. You’d think they would be giddy with excitement, but they’re not. Their response, instead, is fear. Earlier that morning they awoke and gathered the spices needed to prepare Jesus’ body for death. There were no funeral homes back then to bear this responsibility. It was up to each family to wash the body of their loved one, to do what was right after a death. The only problem in this case was that Jesus breathed his last not long before the sun set on Friday. Once night fell, the law of Moses forbade any work, and certainly preparing a body for burial was labor of the most difficult kind. Perhaps they could have come once the sun had set on Saturday, marking the end of Sabbath. A cemetery, however, might not have been a safe place for women at night, especially with Roman soldiers around. Besides, would you want to open a grave after dark - even if you were doing so for all the right reasons? 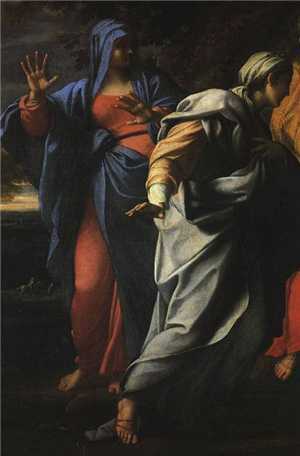 And so Mary Magdalene, with Mary the mother of James, plus Salome headed out at daybreak to finish what needed to be done. That is the crew according to Mark. The other gospels record slightly different lists of the first witnesses, and the stories they tell aren’t all the same. In essentials, however, they agree. In all of them, the first response to resurrection is not what we might expect. As I see it, this element of fear is what makes these accounts believable. 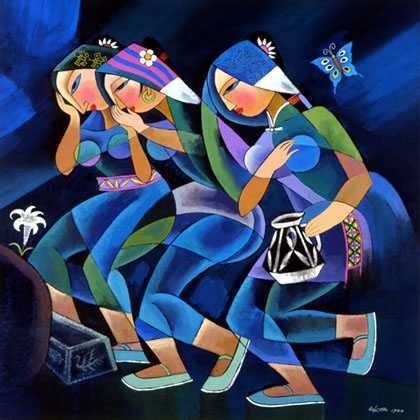 If those women had begun singing and dancing at the tomb, I might wonder what planet they were from - certainly not earth. I’ve walked with enough folks through the valley of the shadow of death to know the stages of grief. In the story as Mark tells it, those women were in a state of shock as they headed to the cave where Jesus was laid. Having walked this path following both my parent’s deaths, I can well imagine the inner fog that may have made the journey of these women feel a bit unreal. However, being women, they were used to doing what needed to be done, unlike the male disciples who were at this point lost in their fear, hiding. Perhaps it was safer for the women to go. After all, they were only "women." You of the female persuasion can bristle at that comment, but it was the truth back then. Who paid attention to them? ... Jesus did. And so they came to prepare the body of this man for death, this rabbi who treated them with dignity, who changed the way they saw themselves and their world, who challenged the present arrangement and announced a whole new way of l iving under the coming reign of God. Unfortunately, Jesus was now dead. Did everything else he said and did die with him? Details. Do women pay more attention to details than men? Things need to get done. Children birthed and raised. Clothes washed. Meals prepared. Homes cleaned. Beds made. A never ending list of details. Add one more - anoint the body of Jesus. Details. "Who will roll away the stone from the entrance to the tomb?" That’s not an insignificant detail. Sometimes we get lost in the details of life. There is so much to be done, and we wonder how we’ll get through it all. The "to do" list becomes like Pharaoh to us, the emperor in another Bible story who enslaved God’s children in Egypt and refused to let them go until the "Passover" of God. It was to another emperor that the Israelites were bound when Jesus walked as a man. It was the soldiers of Caesar who put him to death, and guarded his tomb. Their presence was a detail those women couldn’t ignore. Would a soldier help them roll away the stone? Probably not. That’s not what soldiers did back then. There was a reason women feared them. Jesus paid attention to the details. He fed the multitudes on the hillside with a good word, yes, but he also fed them with some loaves and fishes. When he healed the sick, he took note of the details concerning each one. They weren’t merely a mass of needy people. Every one was a person of value and worth in his eyes. And on his last night as a man on this earth, he took charge of the details of a meal, washing the feet of his "guests," and breaking bread with them in what Christian tradition calls the "last supper." One final detail remained after his death, and these women felt compelled by love to complete the list of things to do. Where life would take them after this task was finished, they might not have had a clue. Except that tomorrow would, no doubt, bring its new list of responsibilities. That’s how people move through grief. They just "do." In paying attention to the little details, you try not to become totally overwhelmed by your loss. Your hands and feet keep moving even as your broken heart stops. That’s how it was for those women on that first Easter morning. 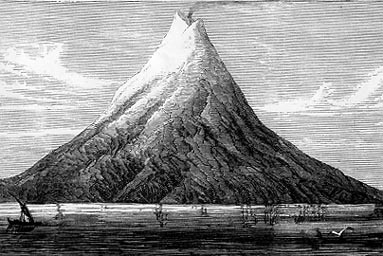 And then something happened which transformed everything… In his book, Krakatoa: The Day the World Exploded, Simon Winchester tells of the 1883 eruption of the volcano Krakatoa in the Pacific ocean. In a series of four blasts an island was totally obliterated, and huge tsunamis destroyed many other lands, killing tens of thousands of people. The book reveals how this event had a tremendous impact around the world, still felt today. It was said back then that the sound of the detonation was audible 3,000 miles away. That’s like hearing from San Francisco an explosion in New York City. Without a sound, God changed the world in ways more dramatic than that nineteenth century volcanic eruption, when Jesus was raised from the dead. We are part of the continuing tsunami still spreading around this earth which brings life rather than death. 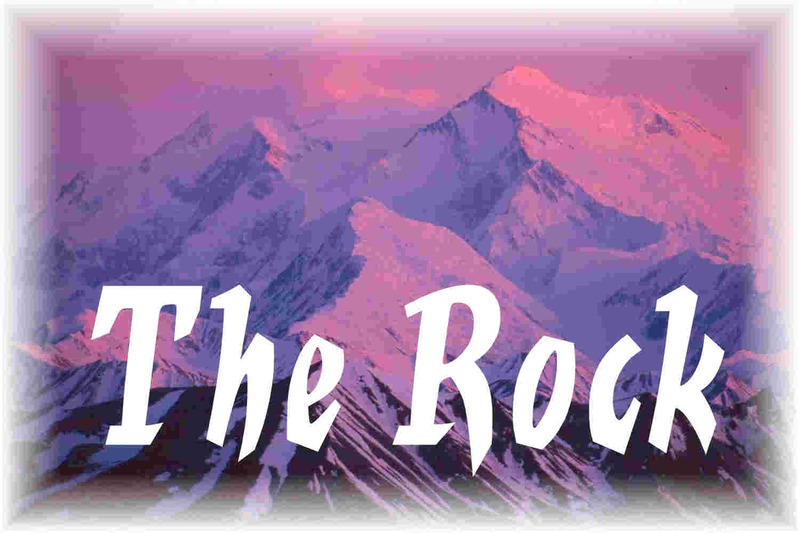 The impact of what those women witnessed that first resurrection morning left them trembling, stunned, speechless, perhaps more afraid than they had been. Grief is understandable. This was beyond comprehension. An angel stood before them in that empty tomb where the body of Jesus should have been. The detail of rolling away the stone was now irrelevant. An angel… Do we grasp the awe and wonder of encountering one of God’s messengers? Every time angels appear before men and women in scripture, “fear” is part of the picture. God’s messengers and the message they bear are not for us to manipulate for our own selfish ends. When we are touched by the “holy,” our lives are turned upside down - or should I say right-side up. That’s how it was for those women. 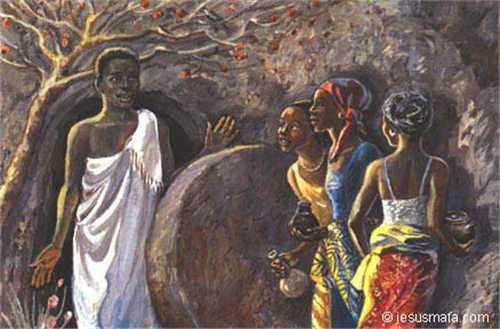 These first witnesses of the resurrection trembled and stumbled their way home, for they were not used to walking on this ground which God had just transformed in the earthquake we call "Easter." Yes, I said, "earthquake." That’s what it should be for us today: God shaking the world and us. In the aftermath of this earthquake, we are made alive. It’s not just that on that day when we breathe our last breath we shall know God’s resurrection power. That, of course, is the promise of the good news. "Death has been swallowed up in victory," wrote the apostle Paul (1 Corinthians 15:54, Isaiah 28:8). Jesus had earlier said, "I am the resurrection and the life. Those who believe in me, even though they die, will live," but that’s not all he said that day, foretelling his own crucifixion and resurrection. He went on to say, "everyone who lives and believes in me will never die." (John 11:25, 26). That doesn’t mean we won’t face trials and troubles and the eventual loss of this mortal body. It does mean that God will shake us alive when we believe in and follow his Son, Jesus. Of course, living in Christ involves details. We don’t just stand around in awe and wonder. The life of each one of us, and all of us together, becomes the mission of God. We are shaken alive on purpose. And every purpose, from the least to greatest (which God sees in a different way than we do), involves details. That’s life. Remember - Jesus paid attention to the details. He still does! The message of the angel to those women on that first Easter morning involved details. Of course, they were trembling so much when they left the tomb that they didn’t pass it on to the other disciples - at least not immediately. They must have eventually moved beyond their fear and spoken up, otherwise the words would not have been remembered and passed on to us. What did the angel say? Well, first, the good news - "Jesus has been raised." He is alive. This we need to pass on to others. However, there was something else the angel asked the women to share. "Tell them that he is going ahead of you to Galilee; there you will see him, just as he told you." "He is going ahead of you." That’s a promise for us today. Wherever God calls us to go, whatever "Galilee" we find ourselves in from now on, Jesus is already there ahead of us. I count on that. I don’t bring Jesus with me when I visit with you. He is already in your home. And wherever you go, trying to follow Jesus today, he is already there ahead of you. That’s the promise of Easter. He’s taking care of the details, so don’t let them overwhelm you. When you stumble for words as you try to share your resurrection faith, or as you try to do the right thing along the way - don’t worry. You’ll know what to say and do. Just trust and follow. He’s already there ahead of you. For commentaries consulted, see Mark.